Monique G. Morial was born and raised in New Orleans, Louisiana. She graduated from Ursuline Academy in 1988. After receiving her Bachelor of Arts degree in History from Emory University in 1992, she returned to New Orleans to attend Tulane University School of Law where she received her Juris Doctorate in 1995. She is a member of the Louisiana State Bar Association, the New Orleans Bar Association and the National Bar Association. Judge Morial began her legal career clerking for judges on both the Fourth Circuit Court of Appeal and the Civil District Court. After working for local firms, she started the Law Office of Monique G. Morial in 2003 where she maintained an active practice in Civil Litigation. In 2007, Judge Morial joined the firm of Usry Weeks & Matthews practicing in the area of law enforcement defense and general litigation. From 1998-2010, Judge Morial served as the attorney for the First City Court Clerk’s Office. Judge Morial was elected to the First City Court in July 2010 with no opposition. 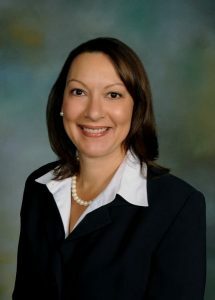 In August 2010, the Louisiana Supreme Court appointed her to serve Pro Tempore in the First City Court for retired Judge Sonja Spears until December. In January 2011, Judge Morial began her term as judge of First City Court, Section “A”, succeeding retiring Judge Charles Imbornone. Active in the community, Judge Morial has been a member of the Sugar Bowl since 1999 and currently serves as President for the Ursuline Academy Alumnae Association. She was formerly on the boards of CASA New Orleans and the Urban League of Greater New Orleans. She has served as Secretary and Vice-Chair of the Young Lawyers Section of the New Orleans Bar Association.